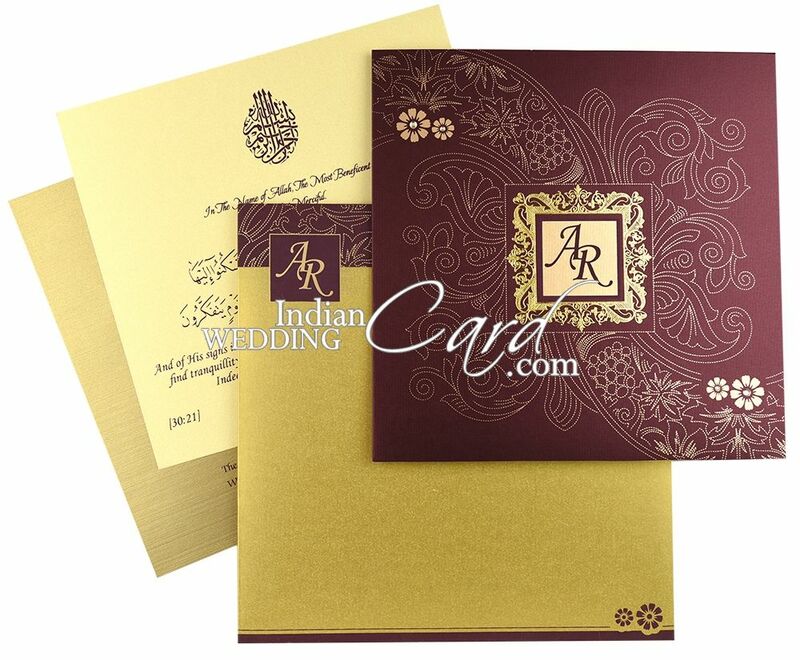 The front of this card is decorated with floral motif in gold with kundan work and an image window in the center with initials and gold foil border. 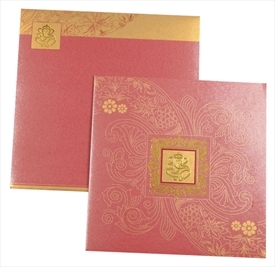 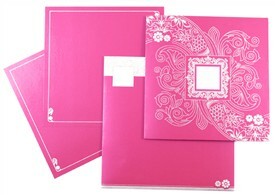 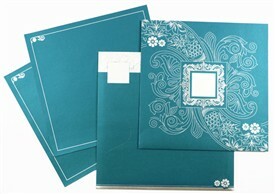 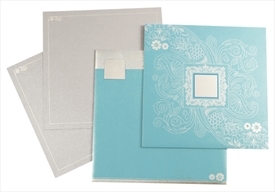 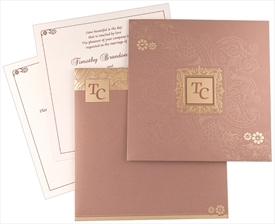 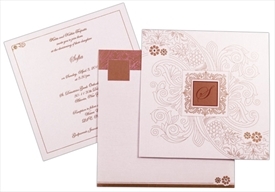 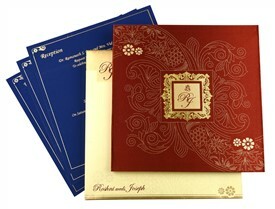 The envelope has motif similar to the card and insert has simple border. 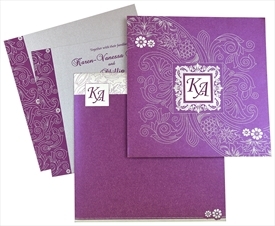 Deep-purple shimmer paper (250 gsm) for main card and inside left pasteup. 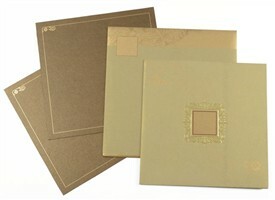 1 insert in gold textured paper (200 gsm). 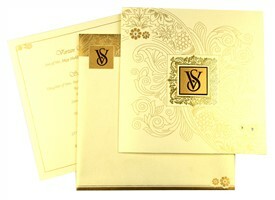 2nd insert in mellow yellow shimmer paper (250 gsm). 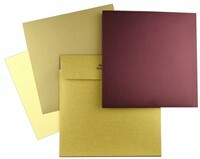 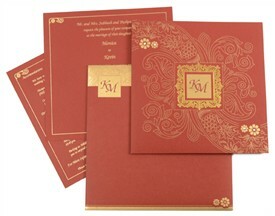 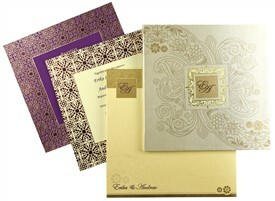 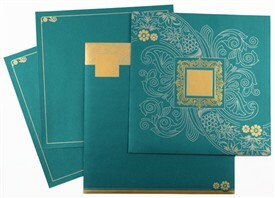 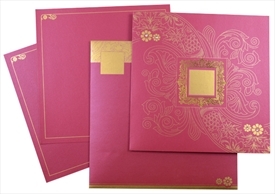 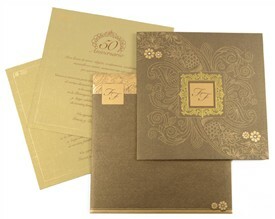 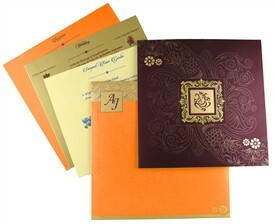 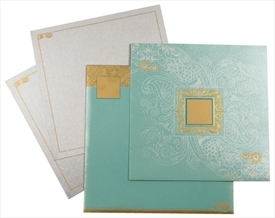 Gold shimmer paper (250 gsm) for envelope.